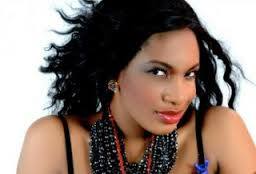 Chika Ike was born as Chika 'Nancy' Ike on November 8, 1985 at Onitsha, in Anambra State of Nigeria. She is one of the leading Nigerian actresses, entrepreneur (CEO of Fancy Nancy Collections) and philanthropist. Chika Ike studied Human Kinetics and Health Education at University of Lagos (UNILAG). Chika is a United Nation’s Ambassador, Refugee Ambassador for the Displaced persons and founder of the not for profit organization called Chika Ike (Help A Child) Foundation. She is also the brand Ambassador of Bullet Energy Drink. Chika Ike featured for the first time in Nigerian movie in the year 2005, then, she landed her first roles in the movies Sweetlove and Bless the Child, movies directed by TChidi Chikere. She has been nominated twice for the African Movie Academy Award. In the year 2006, she was nominated for best upcoming actress while in 2009 she was nominated for best supporting actress. Chika Ike has been honored for her Humanitarian Work during the 2013 HOG Awards Icon of Hope. On December 15, 2013, Chika Ike was honored as a Nollywood Fashion Icon of the Year for Fancy Nancy Collections at the Cynosure Magazine Nigeria Fashion Recognition Awards 2013, an occasion that held at Troy Lounge in Victoria Island, Lagos (Nigeria).